My need is exactly what has been put on your website. "My need is to capture the print output of any (or at least, most any) Windows programs without interfering with the originally intended print activity." Kindly help me with the installation and also the cost involved if i have to buy the software. 2. I want to intercept the data sent to a physical printer without being intrusive, redirect it and convert it to .doc / .pdf. Kindly suggest a solution for carrying out a PoC with an evaluation licence. do let me know the licensing cost for commercial usage. Do suggest, what all spool file formats are supported. >>1. I receive .SPL files from a 3rd party and I want to convert this data to .doc or .pdf. This data is further read for processing. >>2. I want to intercept the data sent to a physical printer without being intrusive, redirect it and convert it to .doc / .pdf. Need to capture a print job. How to capture a print job from Windows Print Spooler system? How to redirect print jobs from one printer to another printer? 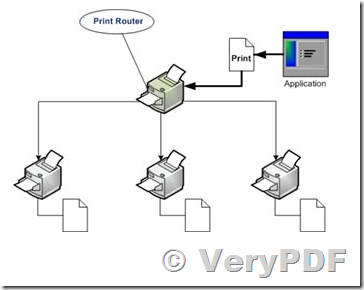 How to get VeryPDF Printer Capturer? How to install and use VeryPDF HookPrinter to capture print jobs? How to extract text/word positions from PDF files from command line? How to extract text and text coordinates from a pdf file? VeryPDF Image Processing SDK, Automatically clean-up images, including auto-rotation, auto-deskew, crop, noise removal, etc. operations. How can I highlight the list of words with annotations in PDF pages by PDF Highlighter Command Line application? How can I remove some pages from an input PDF file? This entry was posted in VeryPDF SDK & COM and tagged capture printer, hook printer, print capture, redirect print job, redirect printer. Bookmark the permalink.